The #FridaysForFuture finally reached Park Fiction. 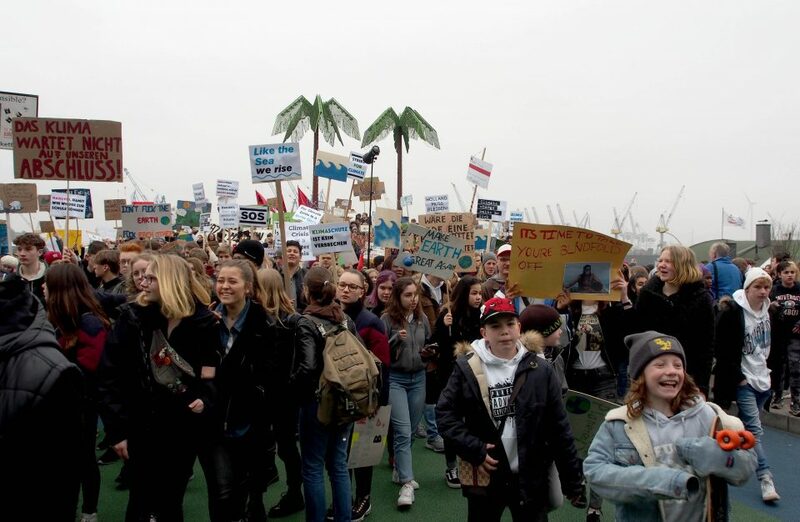 Thousand’s of pupils flooded the park with slogans like „Holland shall not drown“, „Like the Sea we Rise“, „Climate doesn’t wait for our degree“. After the official protest the pupils took a solidarity foto for Ida-Ehre-Schule, where the administration had Anti-Fascist stickers removed after a denunciation by the right wing extremists of AFD. A teacher, who found the ction ot climate neutral enough, failed, when he attempted to take down the pupil’s banner.